Being Mortal by Atul Gawande Through eye-opening research and gripping stories of his own patients and family, Gawande reveals the suffering this dynamic has produced. Nursing homes, devoted above all to safety, battle with residents over the food they are allowed to eat and the choices they are allowed to make. Doctors, uncomfortable discussing patients’ anxieties about death, fall back on false hopes and treatments that are actually shortening lives instead of improving them. 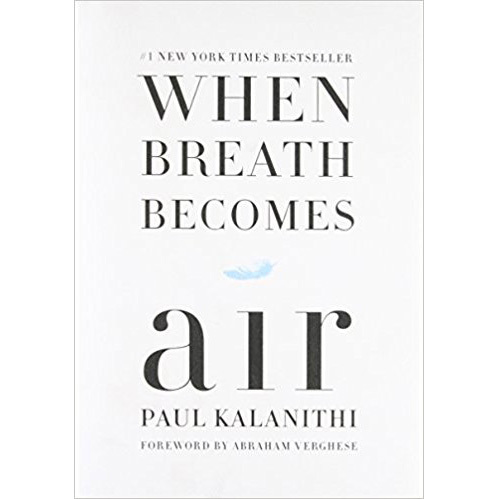 When Breath Becomes Air by Paul Kalanithi At the age of thirty-six, on the verge of completing a decade’s worth of training as a neurosurgeon, Paul Kalanithi was diagnosed with stage IV lung cancer. One day he was a doctor treating the dying, and the next he was a patient struggling to live. And just like that, the future he and his wife had imagined evaporated. When Breath Becomes Air chronicles Kalanithi’s transformation from a naive medical student “possessed,” as he wrote, “by the question of what, given that all organisms die, makes a virtuous and meaningful life” as a neurosurgeon at Stanford working in the brain, the most critical place for human identity, and finally into a patient and new father confronting his own mortality.